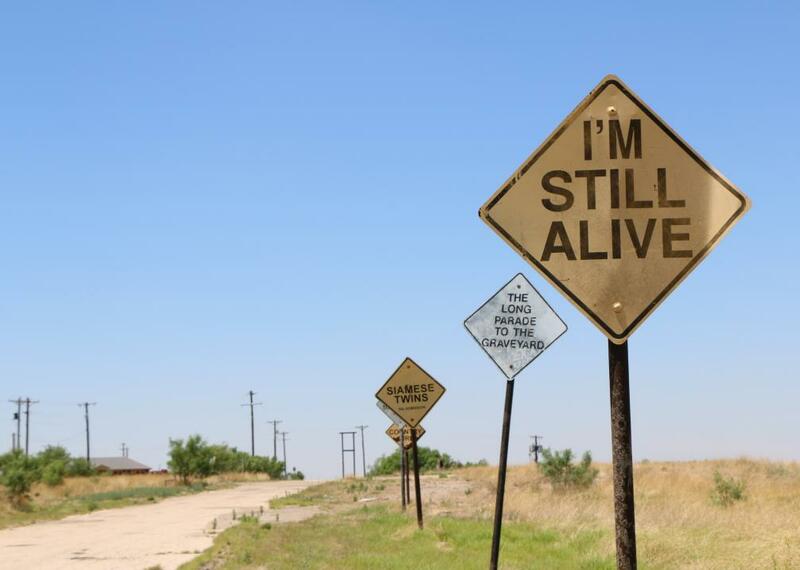 The Dynamite Museum is an art installation that is made up of thousands of painted-over road signs scattered across Amarillo. There was no rhyme or reason to the messages on the signs; the people behind the project would come up with ideas, or vote on suggestions sent in, and then install their favorites all over town. At one point, it was the largest urban art project in the world. 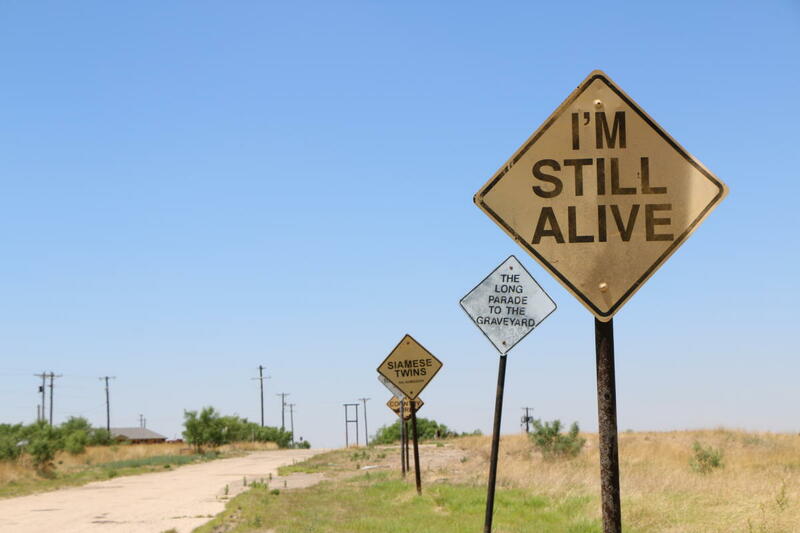 You can find the largest concentration of the signs in the Mariposa Eco-village, but the signs can be found throughout Amarillo.